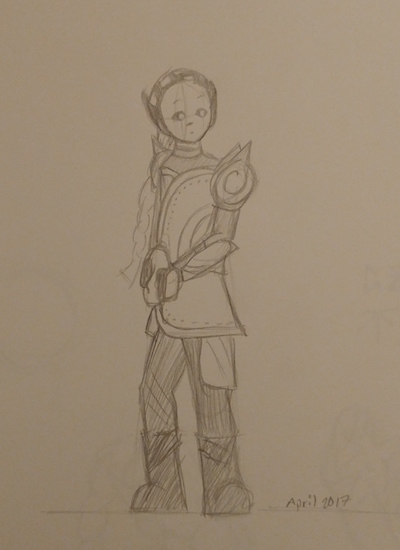 I found some drawings that I did earlier this year of the elves from the second Thor movie. 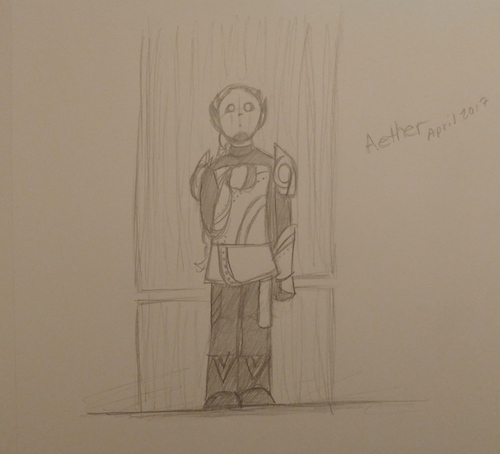 This first one is an elf standing in front of a massive pillar that held their ancient relic, the Aether. 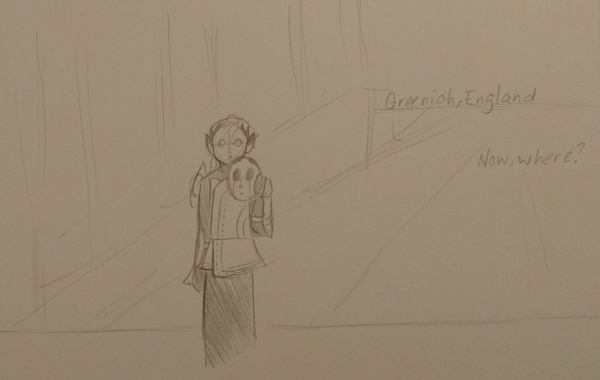 This one is a picture of two elf children. There was a cut line from the original script where the leader of the elves mourned the loss of his family, who loved to play on the beach on their homeworld. The final cut of the movie took out a lot of the elves' backstory, but I imagine they were once a very beautiful and happy people. 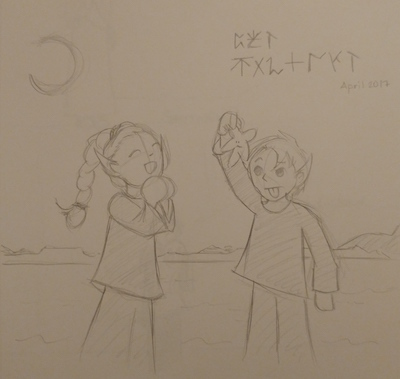 The text says, "koun Harudheen" or "the shore, Svartalfheim." You can also see the black hole star sun in the background.